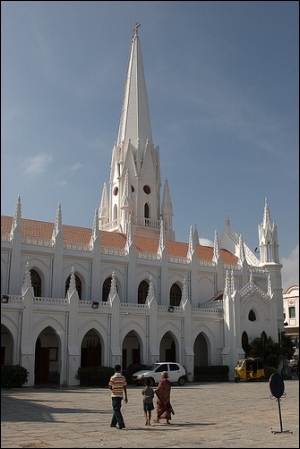 Velankanni is famous for the shrine, dedicated to Our Lady of Health, the Madonna of Velankanni and is popularly called as &apos;Sacred Arockia Madha Church&apos;. Velangani or Velankanni, the Mecca of South Asian Christianity, is located on the Coromandel Coast, in Tamil Nadu is situated at around 435 kms from the state capital of Chennai. 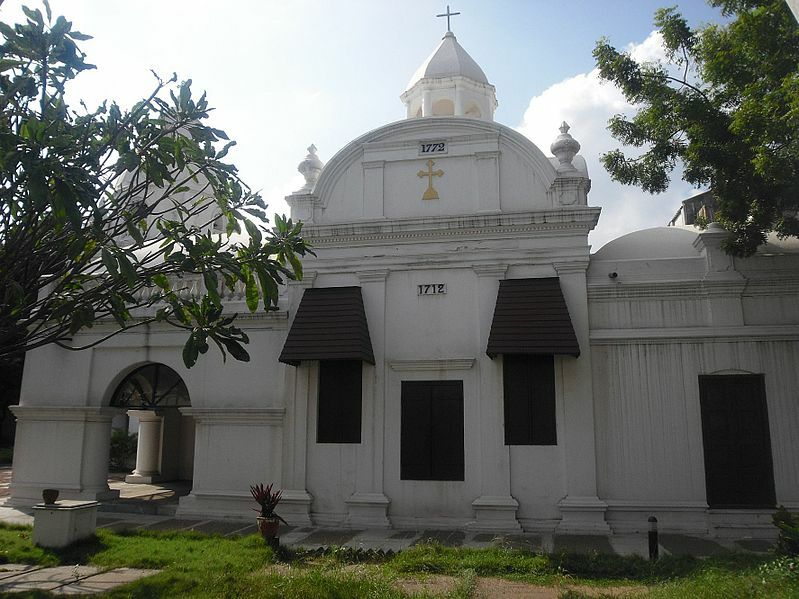 Built, in 1772, on the site of the Armenian cemetery, this church houses a magnificent belfry - 6 bells, claimed to be the largest bells in Chennai. 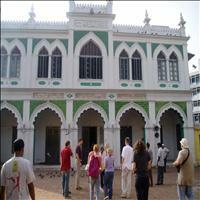 The first Anglican Church in India, it was built in 1678-79 in Fort St. George. The original rectangular building was about 60 ft. by 90 ft. Its outer walls were 4 ft thick and its roof 2 ft. thick and bomb proof. 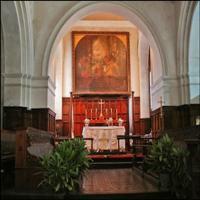 Its treasures are the altarpiece, a large painting of the last supper, a 1660 bible and silver plates. 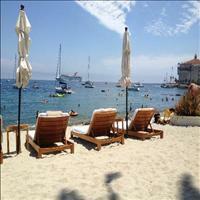 This church is located on the southern end of Marina Beach. 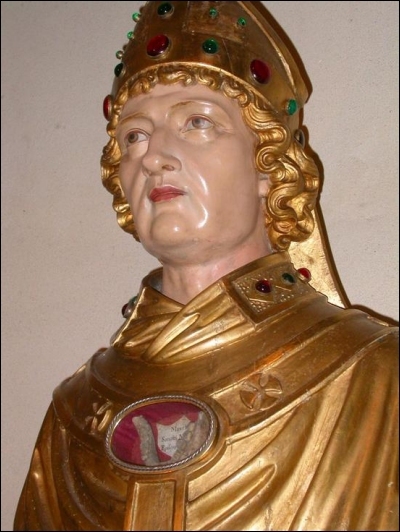 A rare church raised on the tomb of St. Thomas, an apostle of Christ, it has in its possession a small hand bone of Thomas and the head of a lance that brought him down. Renovated in the early 1970s, this Basilica draws huge crowds. There is a beautiful stained glass window at the basilica, which portrays the story of St. Thomas, and the central hall has 14 wooden plaques depicting scenes from the last days of Christ. In the cathedral is a 3ft. high statue of Virgin Mary, which is believed that have been brought from Portugal in 1543. 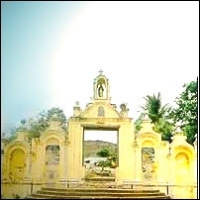 More than 120 years old, it was originally called the Perambur Railway Church, when it was under the railway authorities. 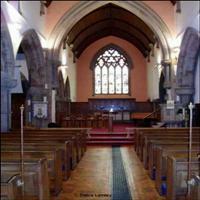 It earlier had a predominantly Anglo-Indian congregation though now there are also families from other southern states. Legend has it that Thomas, an apostle of Christ, preached atop the hill here. He is said that have been killed on this 300 ft. high mount. 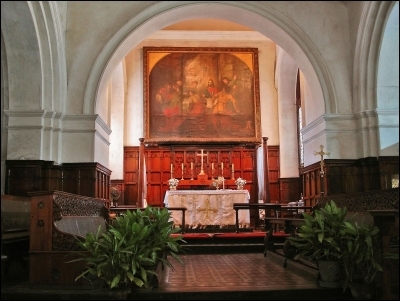 The paintings of 'The Holy Lady and The Child' and 'Our Lady of Expectations' exhibited in this church are believed to have been done by St. Thomas. Called `The Queen of Scottish Churches in the East', the church has finely etched white Doric columns, black and white tiled marble roof, and a high, sky-blue dome of enviable beauty. On the inner surface of the dome, constellations of stars, as they can be viewed in Scotland, are painted realistically. 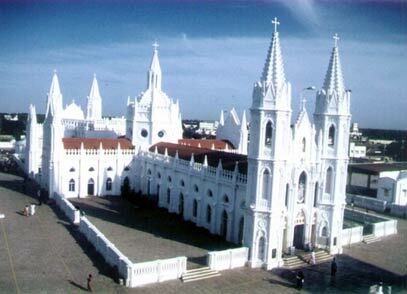 A striking piece of architecture, the St. George's Cathedral was built in 1815. It has a towering 45m spire and logic columns. The highlight of this Cathedral is the graveyard just adjacent to it with its guardrail made up of war emblems - muskets, bayonets etc. - of the capture of Srirangapatnam in 1799. Lying amidst the cultural and religious centre of Millipore on St. Mary's Road, this 17th century church is said to have been the place where St. Thomas took rest and also served the people. Hidden behind the modern buildings on Triplicate High Road, this renowned place of worship for Muslims, built in 1795, is a marvelous granite structure. 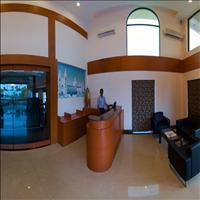 Close to the Anna flyover on Mount Road lays this mosque on 3 acres of land. 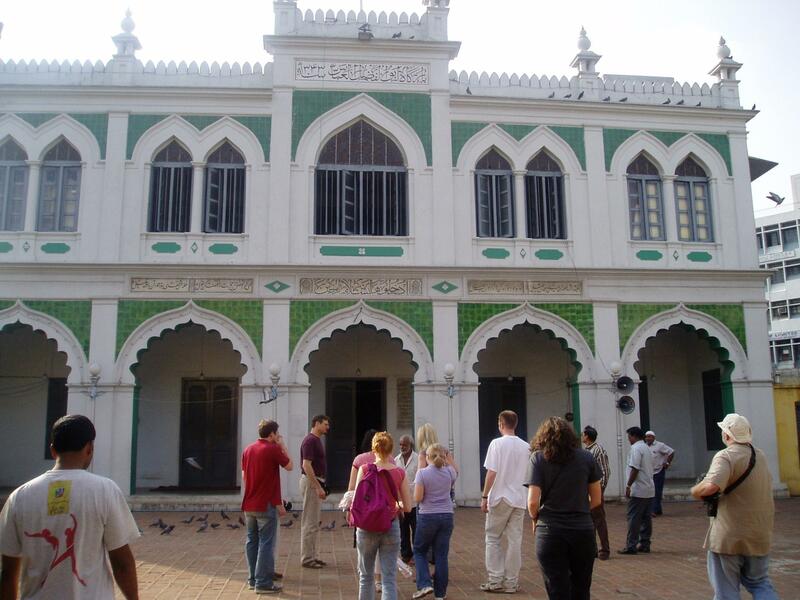 Renovated a couple of times this century; it has two tall minarets and a separate place of worship for women. Embark on this spiritual tour that takes you on a trip down India’s rich colonial past whose prints are still evident in various churches across the country. 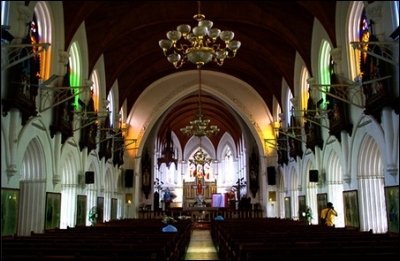 Admire the elegance of these churches that reek of colonial Christian values while still giving you a pleasant feel of modernity.